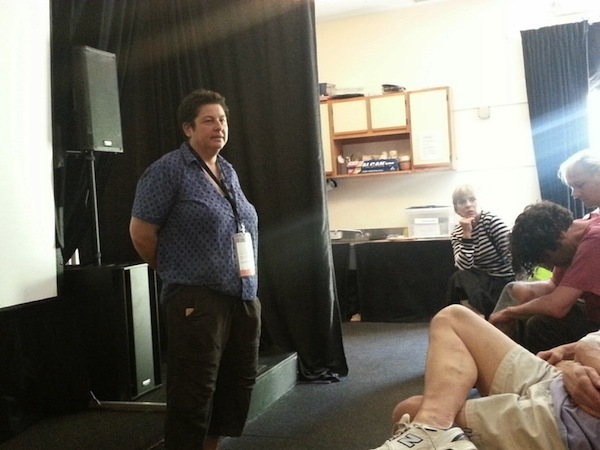 Sunday a week ago marked the wrap of the 16th annual Provincetown International Film Festival, a delightful and thoughtfully programmed festival centered in Cape Cod’s most charming and friendly town. PIFF pulled out all the stops this year in bringing world-class film and filmmakers to town. Their formidable line-up included a number of fantastic films and several wonderful special events. Among the films in the PIFF line-up, a dozen or so appeared within MFF 2014 back in May. 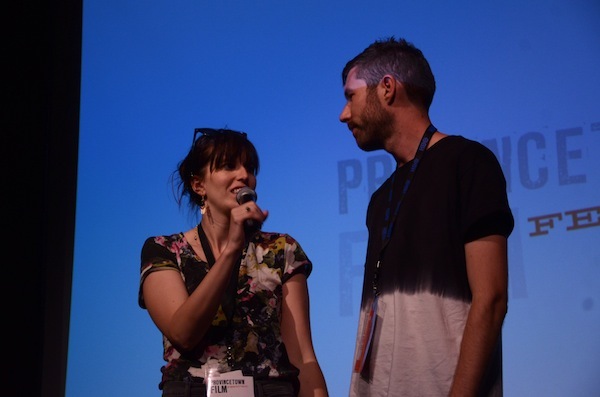 One of the notable overlaps in programming was Desiree Akhavan’s hilarious and heartfelt, APPROPRIATE BEHAVIOR which was very warmly received by Ptown audiences and took home the fest’s Tangerine Entertainment Juice Fund award, a cash prize given at several different festivals in support of outstanding female filmmakers. MFF 2014’s FORT TILDEN (SXSW Grand Jury prize winner), the uproarious satirical dark comedy that offers a withering critique of a certain kind of vapid Brooklynite also made its way to the Cape, making a big splash with Ptown audiences in its 3 screenings there. Directors Sarah-Violet Bliss and Charles Rogers host a lively Q&A after screening their film FORT TILDEN at the Art House. Other MFF 2014 narrative titles that made their way to PIFF included Gillian Robespierre’s breakout Sundance hit OBVIOUS CHILD, Joe Swanberg’s HAPPY CHRISTMAS, and Joel Potrykus’ BUZZARD. Meanwhile the documentary section included such MFF standouts as Marshall Curry’s POINT AND SHOOT, Joe Berlinger’s WHITEY, Ben Cotner and Ryan White’s THE CASE AGAINST 8, and Sam Cullman and Jennifer Grausman’s ART AND CRAFT. 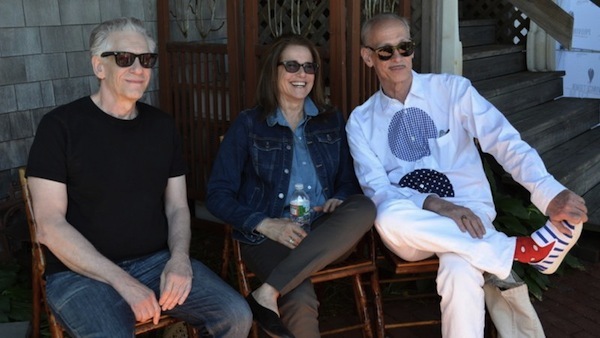 As with any Maryland Film Festival, no Ptown Film Fest would be complete without the participation of the great John Waters. Here John was doing double duty reprising his MFF presentation of Catherine Breillat’s ABUSE OF WEAKNESS for Ptown audiences and acting as host/interviewer for legendary cult director David Cronenberg, who was being honored with the PIFF Filmmaker On The Edge award. 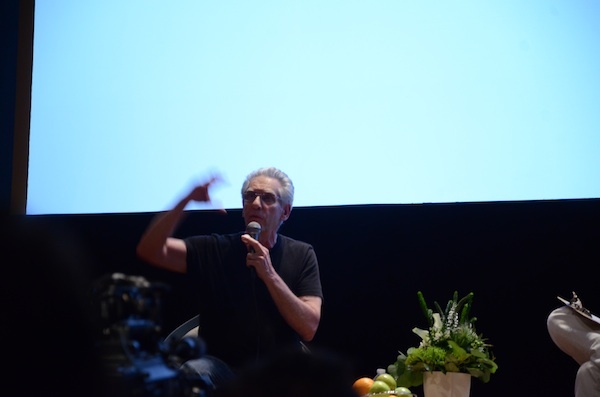 Waters conducted a fascinating interview in which Cronenberg recalled turning down the chance to direct THE EMPIRE STRIKES BACK, watching Tom Cruise get passed over at an audition with Dino De Laurentiis, and a plethora of other fascinating stories about his nearly 50 years as a filmmaker. The same event saw a fun conversation between film critic B. Ruby Rich and PIFF Career Achievement honoree Debra Winger. Of course I didn’t travel all the way to the tip of Cape Cod just to watch and talk about movies I’ve already seen during the programming period for MFF. The main reason for me to go to any festival is to discover wonderful films I haven’t seen and Ptown did not disappoint in this department. My two favorites films that I had yet to see at PIFF both came out of their documentary section. Nancy Kates’ REGARDING SUSAN SONTAG was an unexpectedly artful and fascinating look into the life of the late writer, filmmaker, political activist, etc. Constructed over the course of 8 years, the film goes to great lengths to create an atmosphere that reflects Sontag’s (and of course the filmmaker’s own) aesthetic sensibilities while offering an interesting and insightful appraisal of her life and work. The documentary that really knocked me out however, was Jesse Moss’ THE OVERNIGHTERS, an intense and powerful doc about the small town of Williston, North Dakota that is overwhelmed by its near overnight transformation into a fracking boom town. Thousands of men and women seeking employment in the oil fields or in ancillary industries springing up around them, overwhelming the towns resources, real estate and many folks nerves. At the center of the story is a local Lutheran pastor who is devoted to helping and housing the many desperate unemployed who come to town. At times his devotion to the plight of the “overnighters” as they’re called, puts him at odds with the town and even his own congregation. A fascinating insight into human nature, small town politics and the brutal reality of searching for employment during lean times, THE OVERNIGHTERS provides a riveting viewing experience throughout building to a mind-blowing crescendo, leaving the viewer much to ponder upon leaving the theater. In the narrative department, Ira Sachs’ haunting and heartfelt LOVE IS STRANGE provided a very satisfying viewing experience. The film stars John Lithgow and Alfred Molina as a senior-age gay couple who finally are able to marry after 39 years together, only to be forced out of their Manhattan apartment shortly thereafter by rising real estate prices. As they try to find a new home the couple has to separate for the first time in decades, staying with friends and relatives, putting a strain on both their relationship and those they’re staying with. Excellent performances are the key here and Molina and Lithgow deliver as does the supporting cast which includes Oscar-winner Marisa Tomei. To close out the weekend, PIFF brought in acclaimed filmmaker Jonathan Demme to present his latest work A MASTER BUILDER. A film which finds Demme collaborating with the legendary Andre Gregory and Wallace Shawn, the duo perhaps most famous in cinematic circles for their 1981 collaboration with Louis Malle, MY DINNER WITH ANDRE. Their latest outing, A MASTER BUILDER is an ambitious adaptation of Henrik Ibsen’s The Master Builder Solness. 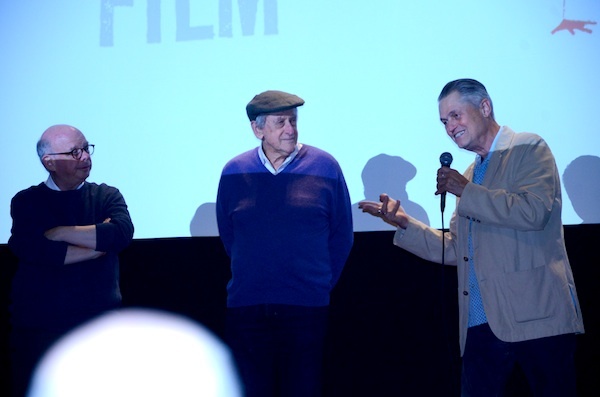 The two elder statesman of stage and screen (Gregory and Shawn also star in the film) were in attendance and with Demme hosted a rousing Q&A following the screening. The three greats discussed their excitement to have had the opportunity to work on this project together and the challenges of shooting such a project on a limited budget in just over a week. 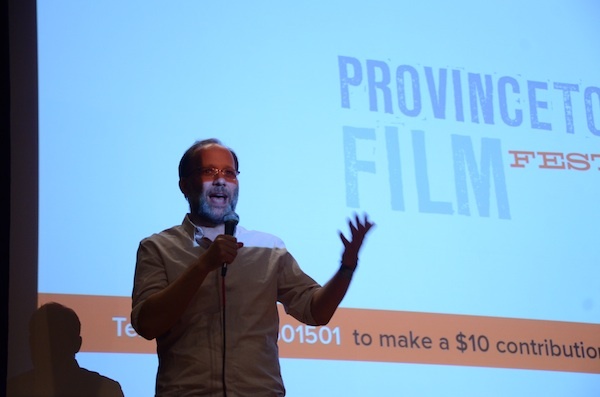 Reminding the audience that even legendary film artists often have to struggle to fund a project that they wish to complete on their own terms. It was a fitting and fun way to close out such a fine year for PIFF. The fun and festive closing party and awards ceremony made the evening all the more delightful. 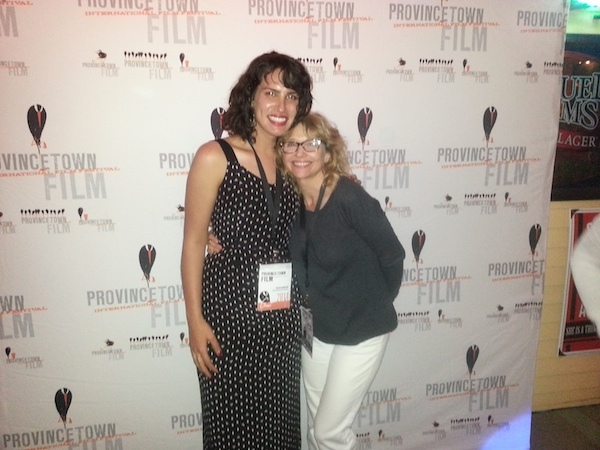 I look forward to visiting both Provincetown and its film festival again in June 2015! In the days leading up to Maryland Film Festival 2013, our programmers would like to direct your attention to a few titles for your consideration. Up today, two very different films: Alex Winter’s exciting Napster documentary Downloaded, and Eliza Hittman’s fresh coming-of-age drama It Felt Like Love. A smart, incisive documentary about the rise and fall of Napster, Downloaded gives The Social Network a run for its money in telling a thrilling story about an internet innovation that all too quickly takes on a global life of its own. With remarkable access to Napster creators Shawn Fanning and Sean Parker, Downloaded is expertly crafted by director Alex Winter (of Bill & Ted’s Excellent Adventure and Lost Boys fame, not to mention the co-creator of the cult classic Freaked), who will be here to host our screenings. His Q+As at Hot Docs last week were by all reports phenomenal, and we can’t wait to share Downloaded—both a great film and a great conversation-starter—with our audiences! On the outskirts of Brooklyn, a fourteen-year-old girl’s sexual quest takes a dangerous turn when she pursues an older man and tests the boundaries between obsession and love. Eliza Hittman‘s It Felt Like Love, which premiered at Sundance 2013, at times suggests an American counterpart to Catherine Breillat, particularly such films as Fat Girl, 36 Fillette, and A Real Young Girl; it also recalls the impetuous teenaged world of Andrea Arnold’s Fish Tank, and the summery haze of Baltimore’s own Hamilton. But while very worthy of these comparisons, It Felt Like Love weaves its own path through a deceptively simple narrative loaded with complex emotional weight. In the process, it signals an exciting new voice in American film.